The decisions reached at the recent Coag energy council meeting are reminiscent of a long series of failures to understand the impacts of powerful business on the health of the community. The failures extend historically from tobacco, to asbestos to the health scourges of coal, and now to the health and community impacts of the unconventional gas industry. It is too much to believe that governments fail to understand the implications. Just 30 years ago, Australia was awash with tobacco advertising and promotion by tobacco companies and their agents through multiple media outlets and sporting organisations, supported by newspaper editorials opposed to any restrictions. Major political parties readily accepted large donations, and some individual politicians were not immune to personal gifts and favours. Tobacco lobbyists had ready access to legislators to ensure that measures to deal with the health consequences were thwarted. While over 20,000 Australians were dying each year because of tobacco smoking, and children were being actively enticed into smoking addiction, their lives were valued less than an increasingly discredited industry. It remains a stain on governments of those days. The tragedy of asbestos mining, transportation and usage in Australia is another cautionary tale still being played out. Mining continued, with active government support, well past the time when there was unequivocal medical evidence of lethal harm being caused by asbestos elsewhere in the world. Political intervention began far too late to prevent the deaths of thousands, with hundreds of distressing deaths still occurring. Another cloud of preventable misery is gathering in our land and beyond our shores with the dangerous push to tolerate and expand coal mining and unconventional gas extraction. The reasons for political short-sightedness are similar to those that prevailed with tobacco and asbestos. The fundamental reason has been the distortion of the political process that has enabled powerful commercial interests to buy political favours to crush health and environmental concerns and work against the wider public interest. There are glaring examples where the mining industry has gained political favours through large direct and indirect donations to political parties and favours to individual public servants and legislators. There also continues to be a revolving door of appointments from the mining sector to pivotal public service positions and political careers, and the reverse. The industry has had, and continues to have, extraordinary access to policy makers and legislators. A report by the Australia Institute and the Australian Conservation Foundation analysing this process in Queensland has laid bare the extent of this distortion of good governance in that state, and exposes the failure of successive Queensland governments to allow sufficient scrutiny. Genuine health and environmental concerns, and their associated financial consequences, are given minimal weight compared to that given to the proponents of exploration, mining, transportation and combustion of coal and of unconventional gas extraction and usage. By comparison, access by organisations and individuals who have real expertise in the health effects of coal mining go unheeded. This is nothing short of outrageous. It is estimated that air pollution in Australia already causes around 3000 deaths annually, more than the motor vehicle accident toll. Most of those deaths are from particulate matter released by mining, transport and combustion of coal. The recognition of black lung disease in coal miners in Queensland is a vivid reminder of the dangers involved. The inadequacy of regulatory standards and enforcement has led to debilitating illness and death. The same could have been said of the asbestos tragedy on a much larger scale, and will eventually be said about coal mining. Climate change resulting from the cumulative effects of global fossil fuel combustion is already causing multiple health consequences, including deaths, from heat stroke, dehydration, bushfires, floods, typhoons, storm surges, vector borne diseases, cardio-pulmonary diseases and allergies. All of these problems will worsen as climate changes become more pronounced. Australia continues to lead the world in tobacco control and has saved the lives of thousands by doing so. It has protected its children in the process. It has belatedly learned some painful lessons on asbestos. By comparison, Australia is ignoring the overwhelming evidence that fossil fuels must be rapidly phased out in the early part of this century. Australia is blessed with abundant solar, wind and wave resources but it has been deceived into becoming a laggard rather than a leader in harnessing them. It appears that the Coag decisions in their subservience to fossil fuel interests asked for information on the additional costs of renewable energy imposed on the national electricity market. There was no mention of the much greater costs imposed by coal on the health services by coal pollution and by gas on the health of communities from global warming. 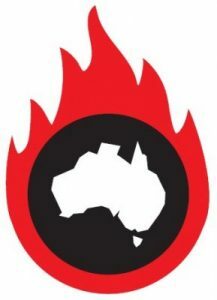 Australia must avoid hurtling headlong into further coal mining and destructive unconventional gas extraction. It needs to have vision and true leadership; a focus on innovation and employment; and to be conscious of its responsibility to protect the natural environment and the health of its citizens. This country has the intelligence, technological expertise, enterprise, workforce, space and moral obligation to make this possible. It will just take political wisdom and will to turn it into reality. If federal and state governments do not do so, it will be at the clear expense of the people they serve. As with asbestos, history will judge the responsible governments very harshly indeed. 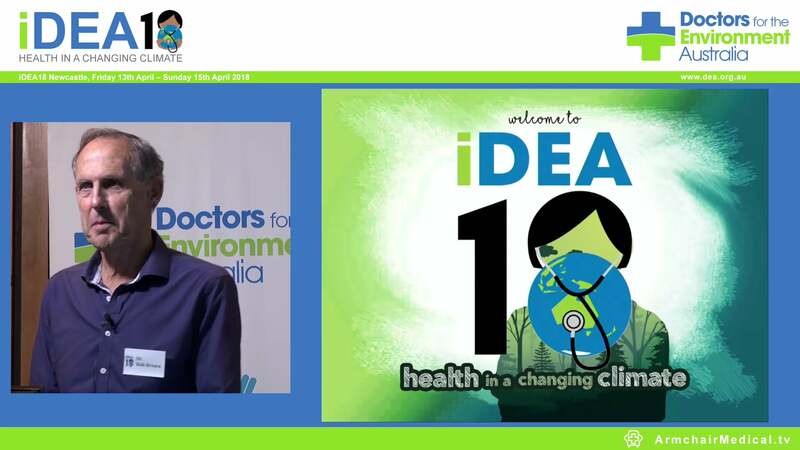 Professor Kingsley Faulkner is chairman of Doctors for the Environment Australia and a past president of Royal Australasian College of Surgeons.